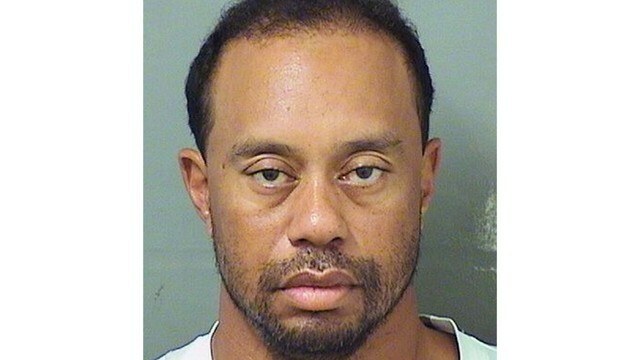 A South Florida prosecutor says Tiger Woods has pleaded not guilty to driving under the influence and will enter a diversion program later this year. Palm Beach County Assistant State Attorney Adrienne Ellis said Woods entered the plea Wednesday. The 41-year-old golf superstar will enter a diversion program on Oct. 25. Woods' attorney Douglas Duncan had no comment. Woods was not in the courtroom on Wednesday. Under the plea deal, prosecutors will drop the DUI charge from his arrest in May when he was found asleep in his Mercedes-Benz, apparently under the influence of a prescription painkiller and an anti-insomnia drug. No alcohol was found in his system. Such plea deals are offered to many first-time DUI offenders in Palm Beach County. “I am not permitted to discuss pending cases. I want to provide information, however, on our First Time DUI Offender Program, which has been a huge success since its inception in 2013. More than 2,100 defendants have entered the program, and very few have committed a DUI again. In addition to its success rate, our Program is truly unique in that it is the only of its kind endorsed by Mothers Against Drunk Driving (MADD). The Program is an important effort to make our community safer by ensuring that drivers prosecuted for first-time DUIs (for both alcohol and drug use) have their underlying substance abuse issues addressed. Defendants accept responsibility for their actions, our streets are safer, and taxpayers benefit from fewer trials and lower costs to our criminal justice system. In situations where a first time DUI offender meets the conditions of entering the Program, the defendant is required to plead guilty at arraignment to Reckless Driving. The defendant will have the adjudication withheld upon completion of a rigorous set of requirements, such as DUI school, victim impact panels, and 12 months of probation, which includes a ban on alcohol and drug possession and consumption. Woods didn't know where he was when asked by officers and he stumbled and swayed through a field sobriety test, police dashboard camera video showed. Woods told officers he was taking the painkiller Vicodin and Xanax, which treats anxiety and insomnia, to cope with his fourth back surgery in April. Tests showed he had no alcohol in his system. His public image suffered severe damage on Thanksgiving weekend 2009 when he plowed his SUV into a tree and a fire hydrant outside his then-home in Windermere, Florida. That led to revelations that he had multiple extramarital affairs and a divorce from his wife Elin Nordegren, the mother of his two children.